The year 2008 will be remembered for its oil price volatility. Crude prices have plunged by as much as 70 percent below USD 40 since reaching all-time highs of USD 147 a barrel. This marks the highest ever prices for oil, followed by the lowest prices in four years. OPEC ministers agreed on December 17, 2008, to remove an additional 2.2 million barrels of crude from the market starting in January 2009 the deepest single cut it has ever made to little avail. 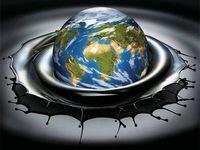 The cartel also counts on non-OPEC members Russia, Azerbaijan, Norway and Mexico to compliment the cut by lessening their output. So is two million barrels enough? “That is a very good question; only time will tell. The one thing I’m going to say is if the Russians coordinate with OPEC it gives them a lot more power to make sure they cut enough to get pri ces back up,” Ron Smith, chief strategist at Moscow’s Alfa Bank, told New Europe, adding that the Russian government’s sen sitivity is much higher to oil prices than it is to production levels. At the OPEC meeting in Algeria, Russian Deputy Prime Minister Igor Sechin said Russia had cut exports in November 2008 by 350,000 barrels per day. He did not say whether oil companies were cutting back on their exports by design or by accident. 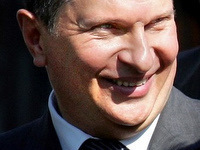 Sechin also appeared to throw Russia’s weight behind OPEC’s announced cut, saying the country’s oil output would slide by three percent in 2009 if prices remained low. He did not, however, portray the cuts as a move taken in cooperation with OPEC. “I think there is a lot of negotiating to be done actually,” Smith said. “It’s a bit early for them to be making firm commitments or anything like that. They’re trying to negotiate what exactly their role is going to be and if they are going to make a pro-rated cut and there are also some political consideration here,” Smith said, adding that in the end Russia is not going to join OPEC formally. “They will coordinate closely without for - ma lly joining the cartel, which will give them a little more man - euvering room in Washington and in other places in the world while effectively getting the same thing done,” Smith said. Another non-OPEC producer, Azerbaijan is ready to offer an oil output cut of up to 300,000 barrels per day to help OPEC support oil prices, Azeri Energy Minister Natik Aliyev told reporters in Algeria. But analysts note that there is little producers can do to control the oil price, which is more driven by demand. The oil price will eventually recover when demand catches up and production drops further. But it is likely to remain weak for at least the first half of 2009, Anisa Redman, an energy analyst for HSBC Bank in London, told New Europe. Meanwhile, Russian Prime Minister Vladimir Putin predicted the financial crisis will hit the gas industry harder than other energy sectors, because the gas market is more sluggish. “We can expect the crisis to have a bigger effect on it than on oil business,” Putin said. At a meeting at the Gas Exporting Countries Forum in December 2008, he said the world financial crisis and rising costs mean the price of natural gas is going to rise. “The time of cheap energy resources, cheap gas is surely coming to an end.” Putin’s comments came amid a monthslong standoff between Ukraine and Russia over Kiev’s debts to Russian energy giant Gazpromand the price it should pay after January 1, 2009. 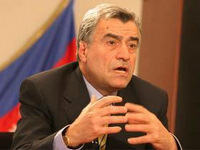 The annual stand-off as well as the Russian- Georgian conflict in 2008 could provide an excuse for the Czech EU presidency to pursue the so-called Eastern Partnership, which will include Azerbaijan, Armenia, Georgia, Moldova, Ukraine and Belarus. Moscow views the scheme as a further Western move into what it regards as its backyard and may respond as someone who knows Europe’s energy dependence all too well.